Gift Cards can be exchanged for a variety of goods or services which may vary from time to time. Current suppliers are shown at www.thevirgingiftcard.co.uk. The Virgin Gift Card (TVGC) does not make or give any promises, warranties, guarantees or representations concerning the goods or services provided by these suppliers. Gift Cards cannot be replaced if lost, stolen or damaged. Gift cards are valid for 24 months after their activation. The gift card cannot be used after this date. Travel/holiday products purchased in exchange for gift cards are only covered by the ABTA financial protection scheme once gift cards have been redeemed against a specific booking. Gift Cards cannot be refunded or exchanged for cash or other denominated gift cards. If an intended purchase is for a higher amount than the face value of the gift card(s), the difference can be made up with cash. If a purchase is for a lower amount, no change can be given. Gift Cards cannot be used in conjunction with any special promotions, discount tokens, coupons, cards or any other incentive scheme (e.g. Flying Club Air miles). The Virgin Gift Card is a trading name of Acorne Ltd, and is used under license from Virgin Enterprises Ltd, owner of all intellectual property rights, trademarks and copyrights in the Virgin name. The Virgin name may not be reproduced in any form without the prior written permission of Virgin Enterprises Ltd. All rights reserved including copyright. eGifts will be active 24-36 hours after you receive them. Fly high, rest in style and more – exclusive access to the wonderful world of Virgin, all through one great card. Perfect for extra-special, high-end rewards, the Virgin Gift Card is welcomed at Virgin Atlantic, Virgin Holidays, Virgin Experience Days and even the luxury world of Virgin Limited Edition, meaning living the high life for a spell is just a card redemption away. Ever wanted to spend a week on a private island? 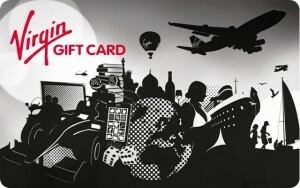 The Virgin Gift Card is the way to do it, loadable with any value from £10 to £2000 to make it truly extraordinary.